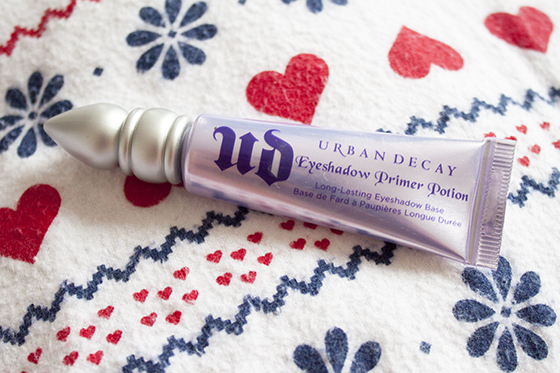 Urban Decay Primer Potion is possibly one of the most talked about products in the blogging world. Before blogging I didnt even know there was such a thing as a eye primer, but as soon as I started watching Youtube videos, the idea of a primer was drummed into my head. UDPP is a best selling, world famous eye makeup primer which claims to make your eyeshadows vibrant, crease free and last up to 24 hours. I've used a tiny UDPP before which came with the Naked palettes and I was never all that impressed. I just didn't think it was amazing. However I've recently given it another go and have found it to do a wonderful job at keeping my shadow in place. I don't really have oily lids, and to be honest I never really worry about the shadow lasting. I have however seen the difference it's made to how colours apply to my lids. The eyeshadow base comes in a squeezey tube and looks like fair tone but I think it's actually fairly transparent colour once blended into the lid. It dries down really quickly on the lid and doesn't leave it feeling tacky or greasy. While I do think it's overhyped, I do like Urban Decay Primer Potion and do think it's great for those who want their shadows to last and apply more evenly. I do think it's pricey and not a really necessary step in beauty but I think it would work much better for dramatic or coloured eyeshadow looks compared to my usual neutral eye! I also think if you suffer from migrating shadows or oiler lids this might be worth a try! 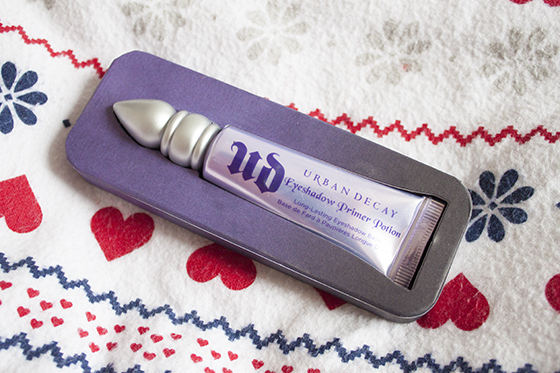 Urban Decay Primer Potion comes in four shades Original, Greed, Eden & Sin.